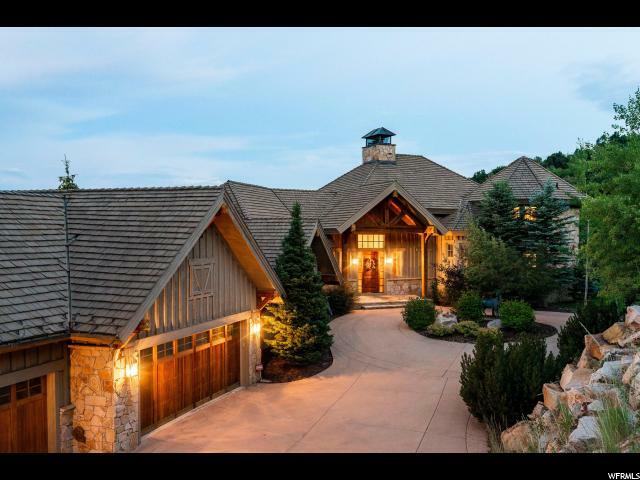 All DEER CREST ESTATES homes currently listed for sale in Park City as of 04/19/2019 are shown below. You can change the search criteria at any time by pressing the 'Change Search' button below. 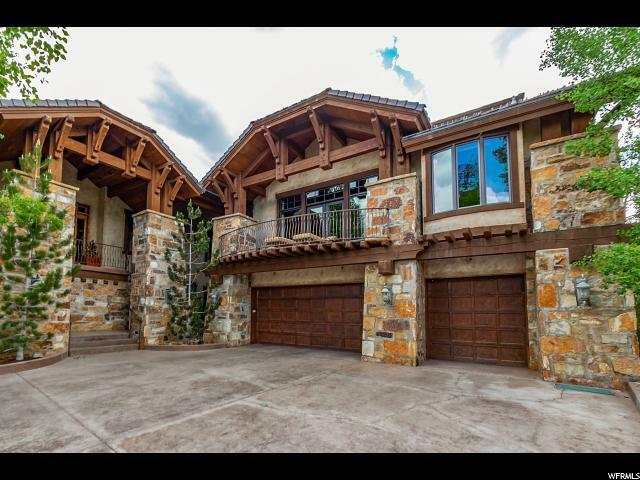 "This artfully designed and executed home, built in 2007, is located on one of the most private lots in Deer Crest Estates, with perfect ski access and stunning views of the Jordanelle. Mountain Contemporary Design, open living/dining/large kitchen/patio layout, and five bedroom, 7 bath, huge lower family room floor plan, all combine to make this one of the most inviting and compelling, value priced homes in the gated Deer Crest Estates community. Chefs will love the large open kitchen and beautifully landscaped & heated exterior dining spaces, calling for summer dinners al fresco! Skiers, hikers, mountain bikers and nature lovers will revel in Deer Crest's many-faceted trails, while proximity to both Main Street and Hwy 40 (via Deer Crest's coveted East gate) afford easy accessibility to all of Park City's Main attractions and also to I-80/SLC Airport. Top finishes and timeless design by Otto/Walker Architects, and solid construction by Craig Mogul/Germania Construction, make this home a must see. " "It's midday and you've been enjoying the Deer Valley groomers for hours by now. It's time slip the boots off for a few minutes and refuel. 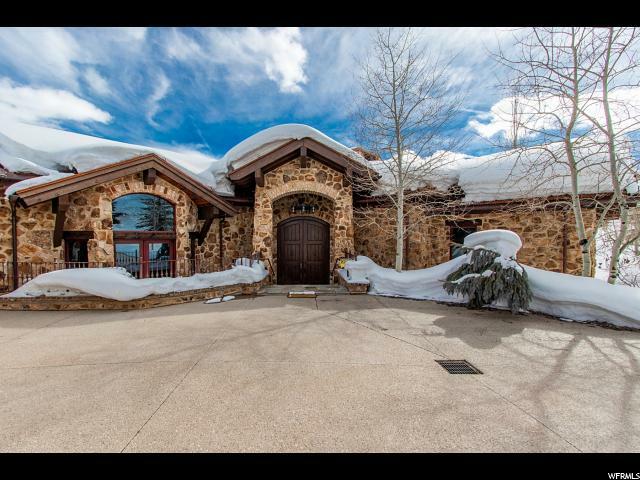 You ski up to your custom ski-in/ski-out Italian Stone Farm House, you are home. You decide you've been skiing hard today and a pizza sounds good, so you utilize the built-in pizza oven in the expansive entertainers' kitchen. As your pizza cooks, you grab a beverage and go out onto the large entertainment deck with views of the Jordanelle and Uinta Mountains. It's only noon, but you can't imagine today getting any better. The best part, this doesn't have to be a dream. This Rick Brighton design, Tom McPhee built home is available for purchase to make all your dreams come true. No expense has been spared from the oversized entry winery doors to the antique door knockers from Terimina, Italy to the custom wine cellar and heated driveway. An additional bunk room gives you extra space for guests as an optional 6th bedroom." 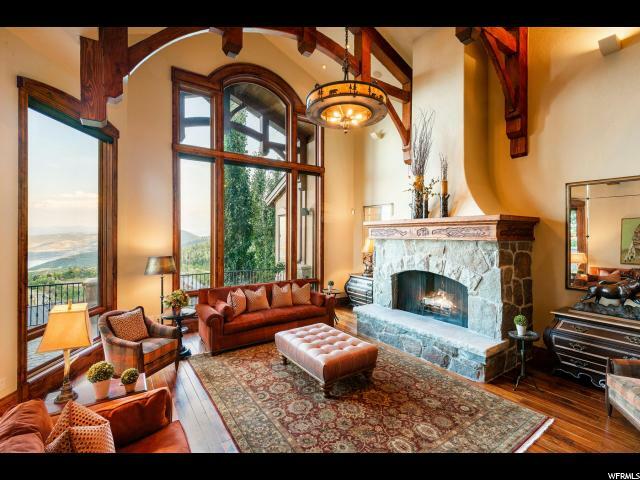 "Step off of the ski runs of Deer Valley Resort directly into this 5 bedroom, 7 bath skiers retreat. This timeless mountain-contemporary home in Deer Crest boasts ample space to entertain family and friends. The spacious gourmet kitchen, outfitted with top-of-the-line appliances and ample prep space, flows effortlessly into a cozy dining space, and warm living room, complete with a roaring fire. Enjoy breathtaking panoramic views of Jordanelle from the wrap around balcony, or lounge in front of the fire pit and watch skiers fly by. Head downstairs and unwind with a movie in the media lounge and popcorn or cocktails from the wet bar, or step outside to ease sore muscles in the hot tub. When it's time to turn in, retreat to your luxurious master suite with spacious en-suite bath and large walk-in closet. The vaulted ceilings and rich wooden beams perfectly compliment the soft lighting and stunning Jordanelle views for perfect balance of warmth and intimacy."